Stephen Mallinder has been at the forefront of electronic music since punk first mobilized a liberationist DIY underground to create without compromise. In Mallinder’s case this activation manifested itself in the form of Cabaret Voltaire, a band named after the infamous spiritual home of the Dadaists and conceived with fellow Sheffield denizens Richard H. Kirk and Chris Watson. 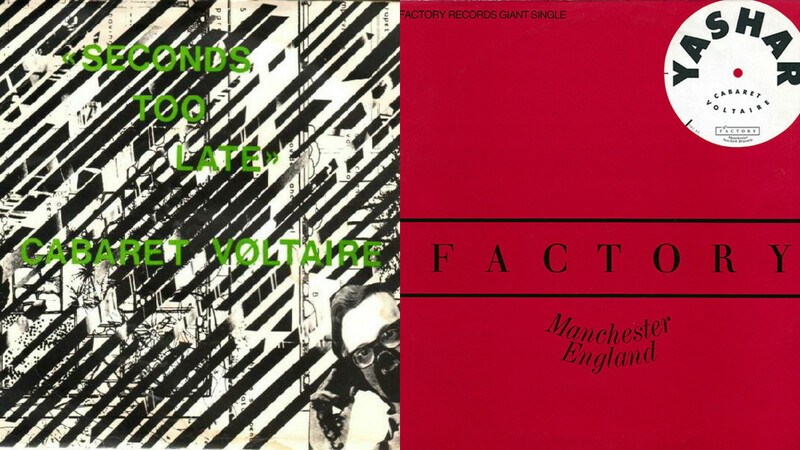 The band’s later association with the labels that helped instigate and legitimize the distribution of independent music would see them compiled on the fabled Factory Sampler EP and later become the first UK act on Rough Trade. Yet their initial experiments preceded the historic ‘year zero’ that many tedious talking heads documentaries cite as the supposed starting point of punk. As early as 1973 Mallinder’s collaboration with Kirk and Watson saw experiments with reel to reel recorders in Watson’s loft. Foregrounded with robotic recitations, radiophonic futurism and blasted textural decay, this assorted early material realised a malevolent form of future shock that opened up a whole new terrain of sound. These embryonic attempts demonstrated an anarchic sense of innovation, and from this point on the band’s identity would prove to be an ever fluid entity, one that remained in a constant state of evolution. Outré tape experiments began to incorporate skeletal drum machine rhythms and layers of industrial grade distortion and with their 1979 debut, Mix Up, the band discharged wrung out machine abuse as Mallinder gave voice to a torrent of garrotted radioactive vocals that at times sounded barely human. Their follow up, The Voice of America, saw a transition into rabid, reductionist electronics and erratic cut ups that crept towards a more assertive beat, whilst the denser psychedelic dread and lurid atmospherics of their next record, Red Mecca, eventually gave way to the desolation and stroboscopic intensity of the Johnny Yesno soundtrack. In 1981 Watson left the band for a career in television going on to attain well deserved renown as a sound recordist. Left to their devices, as a duo Kirk and Mallinder continued to explore the provocative intensities that had established the band’s reputation. Yet Watson’s departure and their subsequent move from Rough Trade to Some Bizarre heralded a transformation that introduced the blueprints of Chicago house and acid to their subversive engineering, along with a more pronounced incorporation of dub and funk. These newfound occupations would lead to a string of performances at the Hacienda and as their sound morphed into something at odds with, yet approaching, the mechanics of dance music, they began to infiltrate the charts. Later they spent time in New York heading out to Danceteria whilst collaborating with the likes of Arthur Baker and Afrika Bambaata. By 1990 they were working with Marshall Jefferson and Ten City, and Mallinder had already familiarised himself with the bourgeoning party scenes in London and Sheffield, at that time spearheaded by the Shoom and Jive Turkey nights. 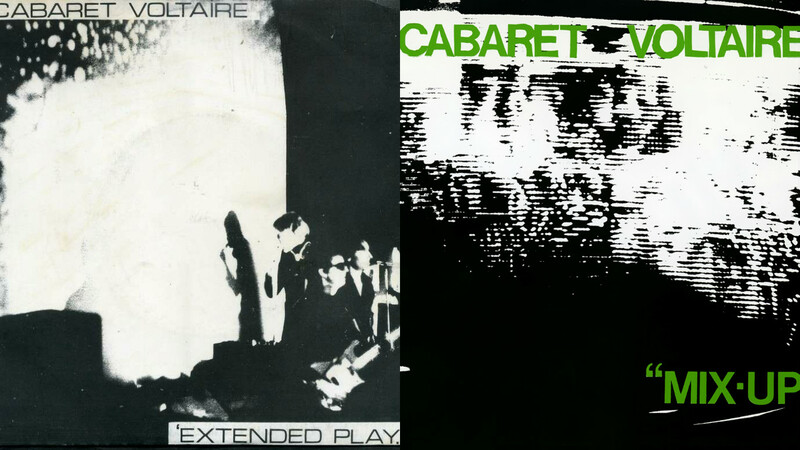 Cabaret Voltaire had come a long way from splicing tape in loft rooms and getting hospitalized at early Joy Division gigs. Their perpetual capacity to change and adapt whilst remaining ahead of the curve has since assured them a rare standing in both post punk and dance music culture, not least as pioneers of sampling, found sound and audiovisual experimentation. Recent years have seen projects which seek to recognise the time in which Mallinder made his initial impact with the band. 2016 has marked forty years of punk whilst last year the documentary film Industrial Soundtrack for Urban Decay elaborated on the inception and ideas behind Industrial music, a development which Cabaret Voltaire, along with Throbbing Gristle, SPK and Test Dept, had played a key role in. A brace of Mute reissues has also helped accommodate a re-examination of the band’s work, placing the abrasive grind and fractious transmissions of their nascent days alongside the insistent pulse and hedonistic energy of their later period. Today Mallinder divides his time between teaching, research, art projects and for the last few years, Wrangler, a project formed with long-time associate Phil Winter (Tunng) and Ben Edwards (aka Benge - John Foxx & The Maths) Inspired by a mutual love for analogue hardware and primitive electro their latest record ‘White Glue’ adds a more direct dimension to the mutant aspects outlaid on their debut, ‘LA Spark’. Where ‘LA Spark’ opted for contorted vocals and twisted effects, ‘White Glue’ guns for a more immediate synthetic mettle. Sharing some of the DNA of the Cabs forays into dance music, ‘White Glue’ is the second record to have come out of Benge’s Memetune studios, a base which has become an important catalyst in their collaboration. Like the Cabs Western Works space, it gives the impression of a galvanising environment for an electronic music centred on the shifting nuances and dynamics of vintage synthesizers. It’s with this recent work that Mallinder has returned to the consistent form of the Cabs, adding hard edged minimalism and warped funk to traces of Chicago house and Detroit electro, albeit traces that suggest a novel lease of raw polish. Mallinder cites this time as a learning curve, one that invested him with an independence that needed to be realized in the wake of the ‘incredible comfort zone’ that the Cabs had facilitated. In a sense it seems to have had the effect of resetting his outlook and preparing him for his current commitment to Wrangler. It seems he’s coping well enough. Follow Stephen Mallinder on Facebook HERE.